Channel 5 Christmas films are my guilty pleasure. If you aren't aware, Channel 5 screens lots of American made-for-TV films. This includes a large selection of festively themed films at this time of year, and they generally are of the 'so bad they're good' variety. This year though, I've been surprised that some of them have actually been... good. With proper scripts. And acting. Here then are my top picks, to get you in the festive spirit. (I'm afraid this is for UK-based readers who have access to Channel 5, but you may have these films on other channels in your country). The film opens with a murder. Part whodunnit, part romance, this grown-up festive film manages to be spooky in places yet overall tugs on the heart strings. 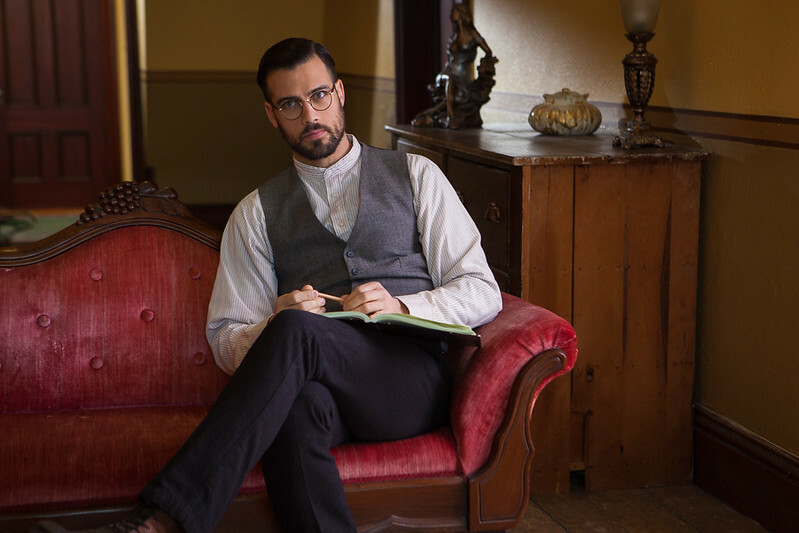 The male lead, Thomas Beaudoin, is especially dashing, the acting and script are decent, and there's definite chemistry between the leads. Throw in a big mansion, cocktails, flashbacks to 100 years ago, and plenty of snow, and it's a firm contender for my favourite Channel 5 Christmas film. It's not your most obvious choice - it's refreshingly a child and animal free zone - but I loved it. If you watch any of these, watch this one! The Spirit of Christmas is available for another few weeks, you can watch it at this link. This is another good one, also with a fairly decent script and actors. 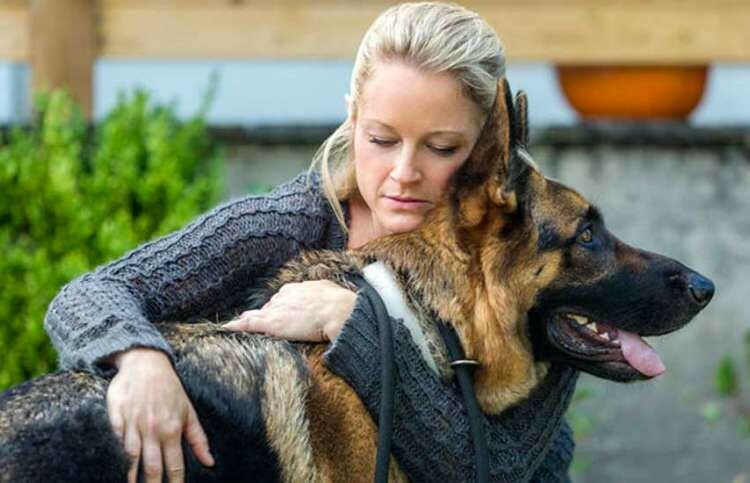 The shepherd in question is a German Shepherd, owned by a children's book author who has been bereaved. In a violent storm, off runs the dog, and off goes the plot! Will the author find her dog? And romance? This is one for dog lovers (you'll weep). You can watch it on your computer at this link (ignore the small picture Channel 5 have on that page, which is actually from A Christmas Kiss!) but the link doesn't seem to be working properly at the time of writing this - you can try to watch the film through your TV catch-up service instead. This film is loosely based on the Beauty and the Beast fairy story. It's a truly awful film, possibly the worst Christmas film I've ever seen (and I've seen some shockers!). It's set in a hot and dusty vineyard, and is hampered by a very low budget - these factors combined mean that it's sorely lacking in festive cheer. They didn't even have enough money to have music at the ball, guests at the wedding, or decorations for the whole house (just the porch got some). Coupled with a stinkingly bad script, this one is one I regret watching to the end. Save yourselves, don't even start it! I'm not even giving you the link. This film has fake girl camaraderie in buckets. It also has a wealthy bachelor needing his house decorated for a Christmas party. He calls in his bitchy girlfriend and her meek assistant. Why he needs mood boards and people to decorate for him is baffling, as the house isn't that big, and all they do is put up three trees and erect a fake Dickensian lamppost. It's bad, but it's still better than A Christmas Fairytale. I'll give you the link, and leave you to make your own mind up, you can watch it here. Care to add your best and worst Channel 5 Christmas films to this list?? I LOVE ridiculous tv Christmas movies. I don't have a television, so I have to wait to get to my family's place for proper watching. But I watched The Spirit of Christmas over the weekend on (US) Netflix. Silly but fun. I really enjoyed it. I followed that up with Christmas Crush (a Christmas high school reunion....with bad glee club performances) and Merry Kissmiss which was bad but good. I took a look through the Christmas Radio Times and realised I'm completely uninspired by almost all Christmas viewing apart from the Agatha Christie adaptation. Dunno if it's because I've got old or Christmas telly has got crap, but I'm sure when I was a kid I struggled to choose between things I wanted to watch, not to find anything remotely watchable. 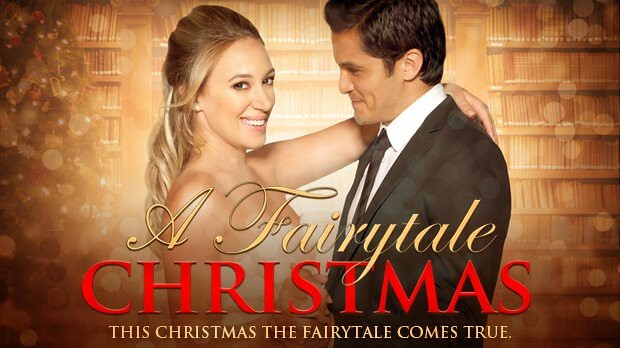 Though now you've tempted me to watch A Fairytale Christmas just to see how bad it is. Telly doesn't feature much with us over Christmas either, but as a child we watched telly all day. I think it's the programming, it's not as good. Don't watch the fairytale film, you've been warned!! Hehehe! Love this post! We had Noël on yesterday at work (yes, we have a TV at work!) and I love that film, I watch it every year, but the others weren't impressed. I've seen quite a few Ch5 ones now but I'm yet to come across the two in your Best section. I'll look out for those. Is she related to Hilary Duff I wonder?! Definitly one of my guilty pleasures! I even love the really, really awful ones!!! Hallmark do some lovely Christmas films too, I have rewatched a few on YouTube this December!